This animal stumped my daughter...she had no idea. Do you? If you think you know what it is, leave a comment on this post! Do you know your cats? If not, scroll down to see the answers! We've been through all the big cats now, and I just want to know one thing. 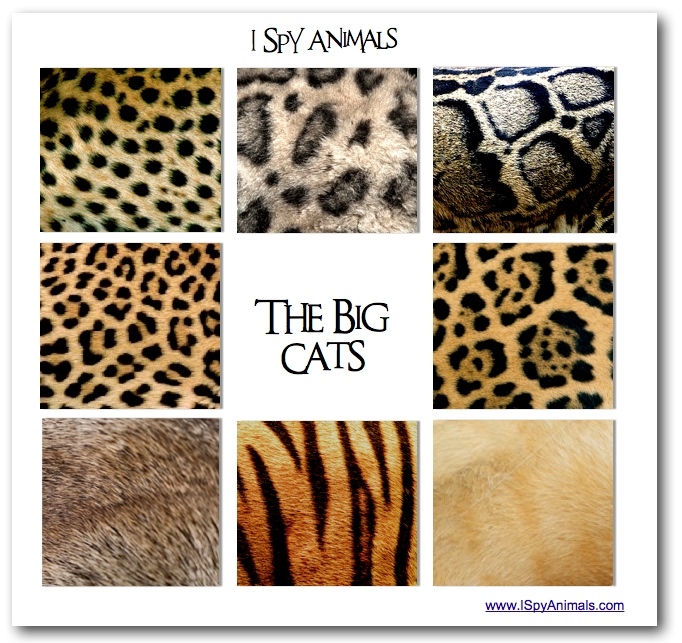 Can you identify a big cat when you see one? If you can't identify all of them, look below because I will give you a big hint to help you out! Can you do it now? Keep scrolling to see the answers. 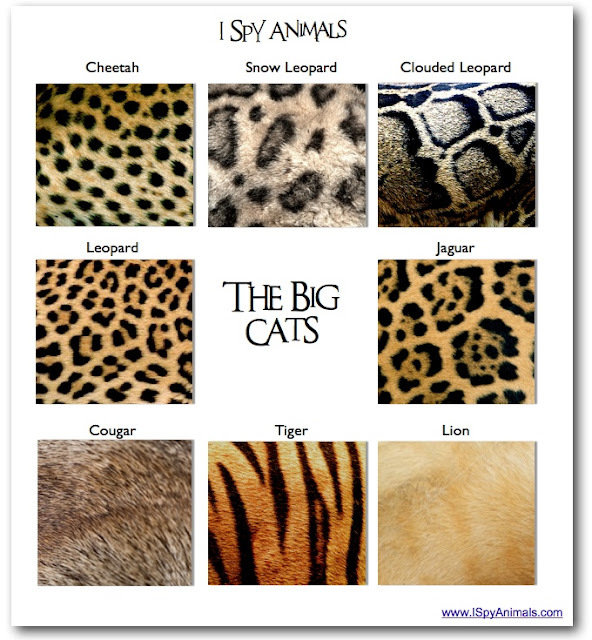 Study them well, because my next post will present the actual cats for you to identify! How many did you get? Comment and let me know! 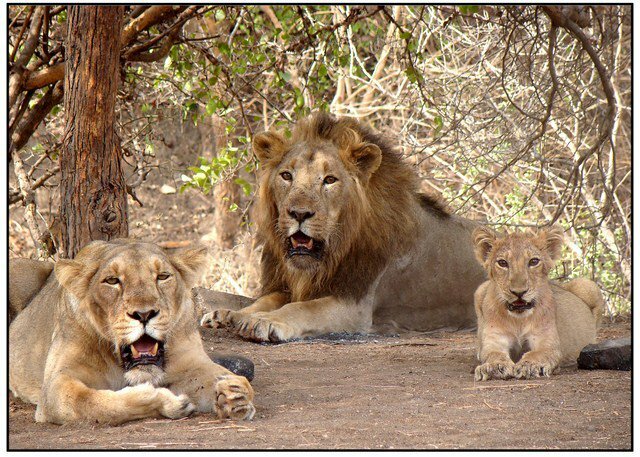 In certain climates, adult male lions delay growing a mane until they are much older; these lions are known as maneless lions. And strangely enough, three of the most notorious man-eating lions were maneless! The largest man eating lion on record, measuring 5 feet from floor to ear tips and 10 feet 6 inches in length, was a maneless lion. 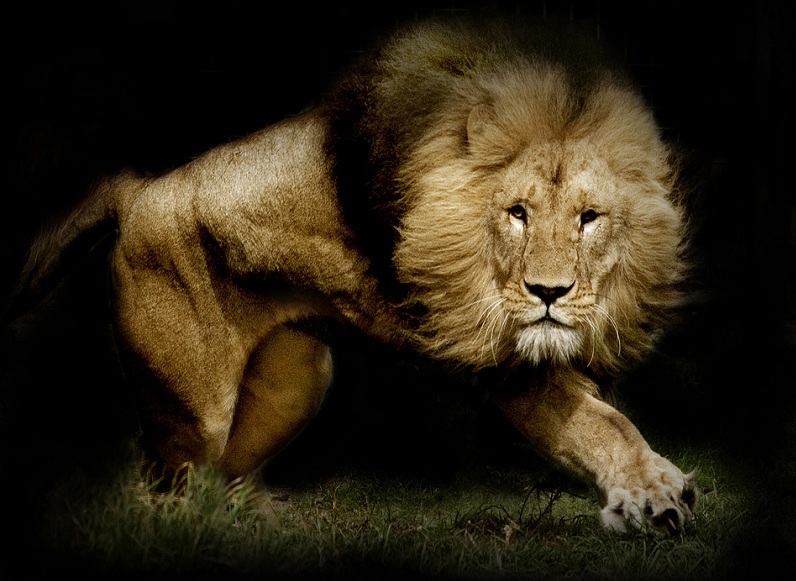 Called the Man-Eater of Mfuwe, the lion killed six people in two months. It was shot in 1991 in Zambia. Most famous, though, are the Ghosts of Tsavo. During a nine-month period in 1898, two maneless male lions killed between 35 and 145 men, taking them as they were building a railroad in Tsavo, Kenya. A fictionalized movie, The Ghost and the Darkness, was made of the story. 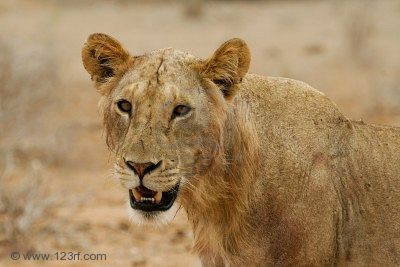 Maneless lions have been reported in Senegal and Tsavo East National Park in Kenya. 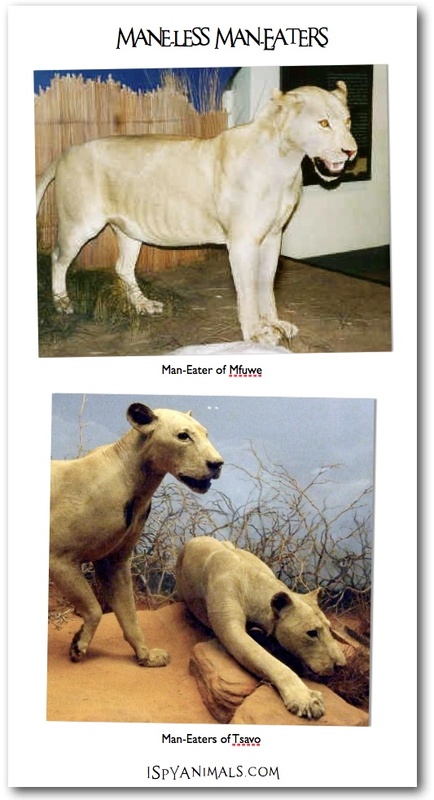 The original white lion discovered in Timbavati was also maneless! These three famous man-eaters are on display in The Field Museum of Natural History in Chicago. For more information on these man eaters, go here. 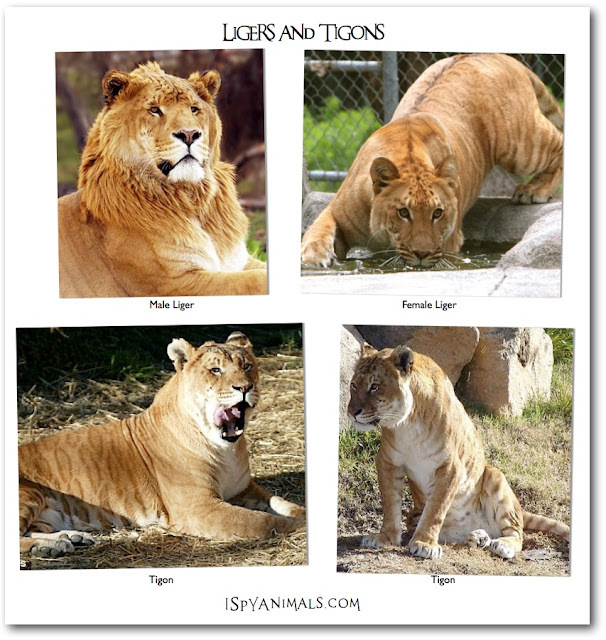 For more information about maneless lions, go here. The King of Beasts...the lion! Most people can identify a male lion with no problem. 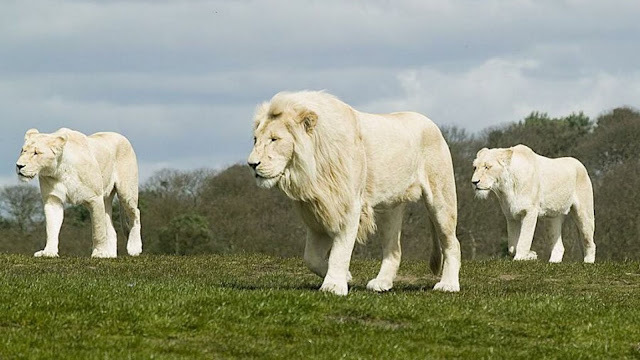 There are also white lions living wild in Tambavati, though many zoos and circuses have them on display. That big lion mane? 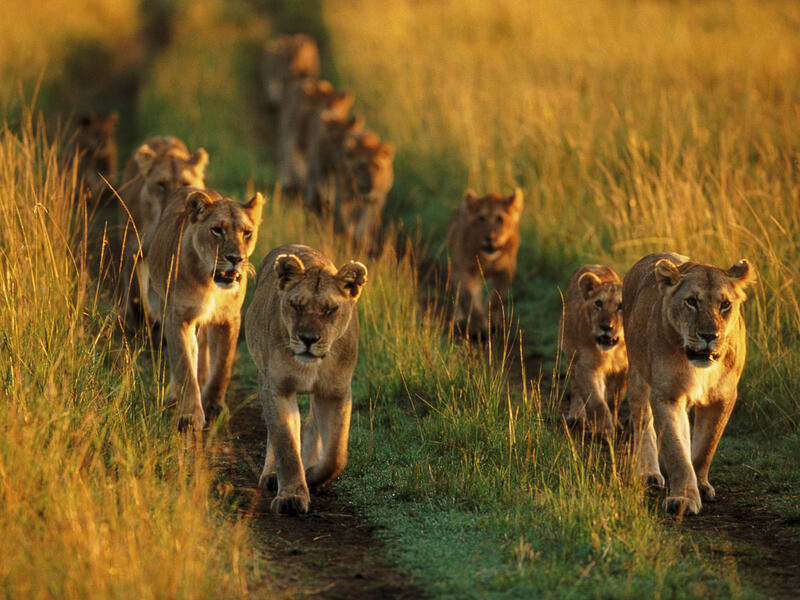 Lions are the only big cats where it is easy to tell the males from the females. 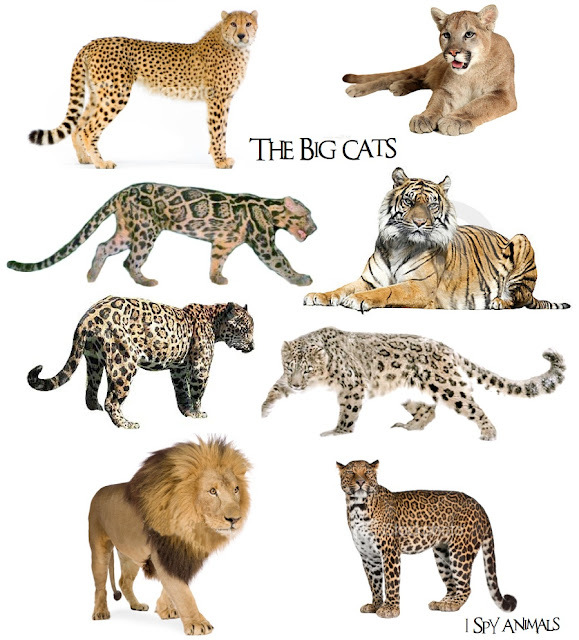 Big Cats and their pumpkins! 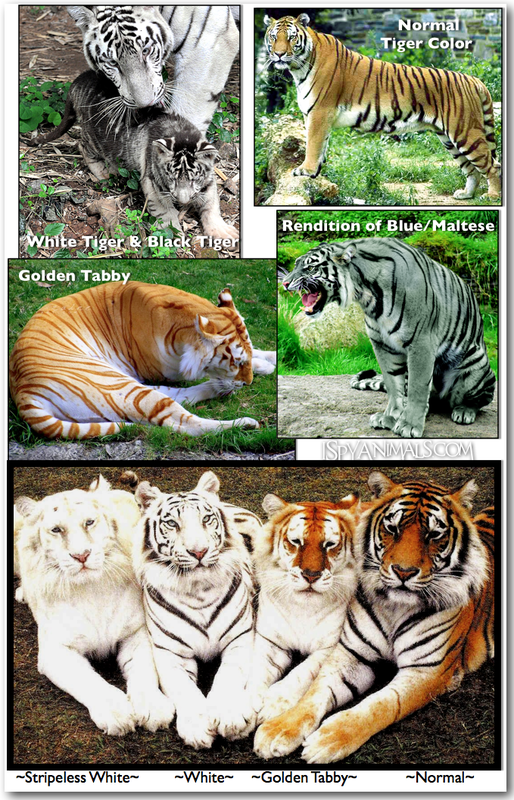 So you thought tigers just came in orange & black, or white & black? 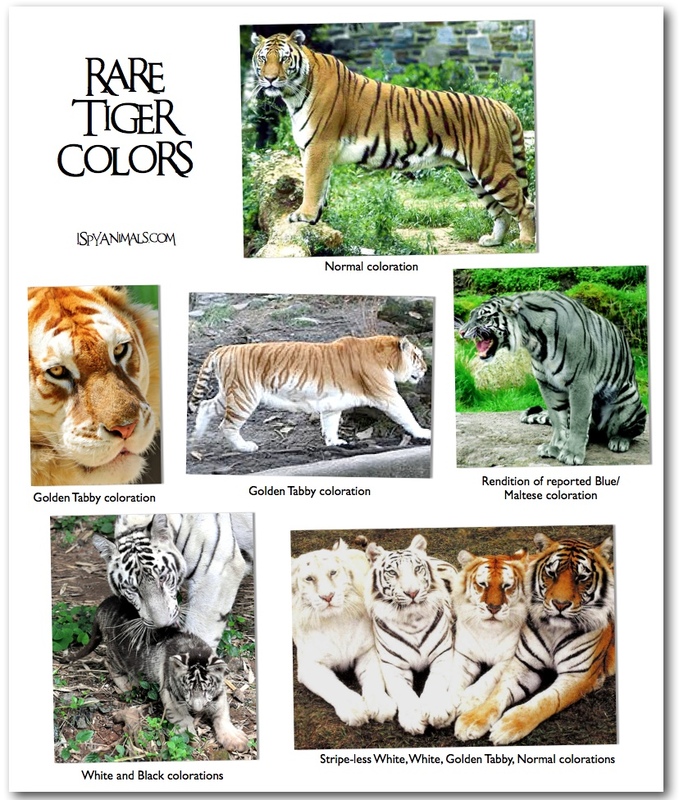 There are actually rare tiger colors that are not as well-known. 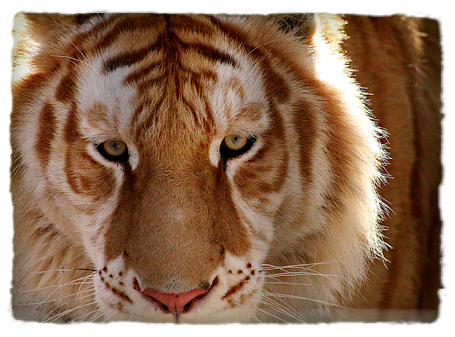 The golden tabby, above, has dark orange stripes instead of black. 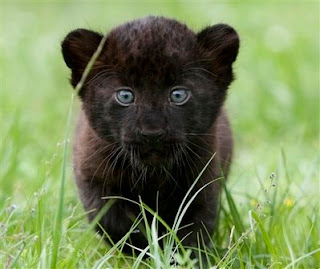 The black tiger has wider stripes and more black on its head and back. 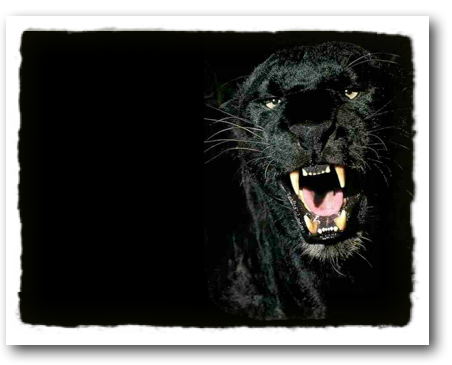 And the blue tiger? A blue tiger cub was born at a zoo in Oklahoma, but died while young. There have been reports and descriptions of blue (Maltese) tigers in the wild, but not one has been captured! What do you think? Pretty amazing colorations! The tiger is beautiful, but certain types are very rare and will soon be gone from the earth. Want to help? Visit the Save the Tiger Fund to see how. The legendary white tiger. 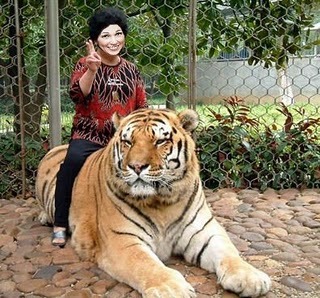 The tiger of choice for Indian royalty. A rare cat stalking through the jungle...well, not so rare anymore. There are several hundred around the world and their numbers are growing. Why? 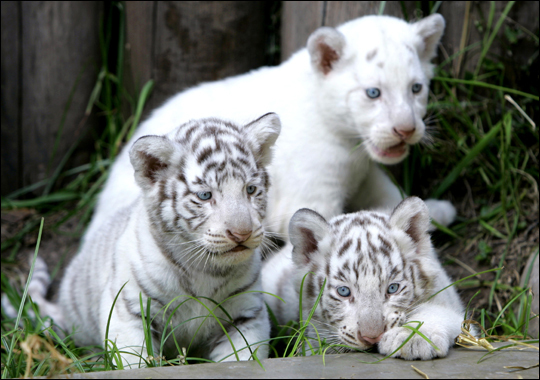 Zoos and animal attractions know they are a big hit with the public and so pursue selective breeding to create white tigers. 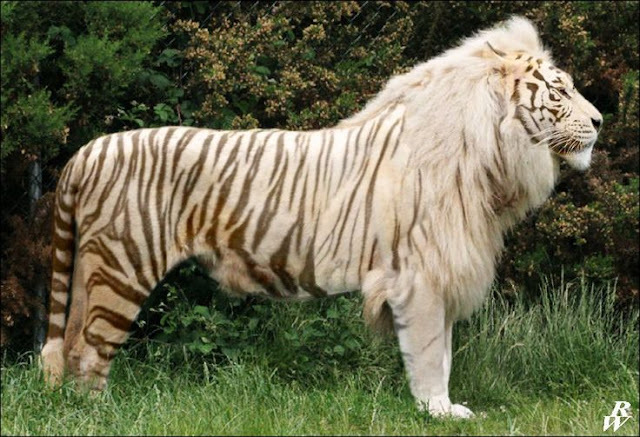 But white tigers are not albinos. 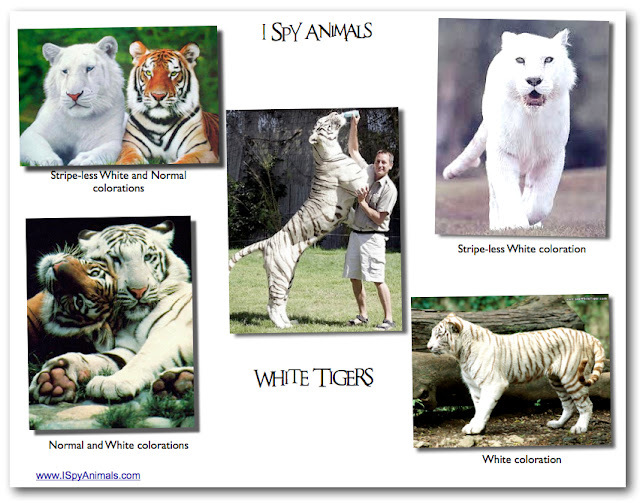 Even the whitest of the tigers, stripeless tigers, have a faint pattern of stripes. 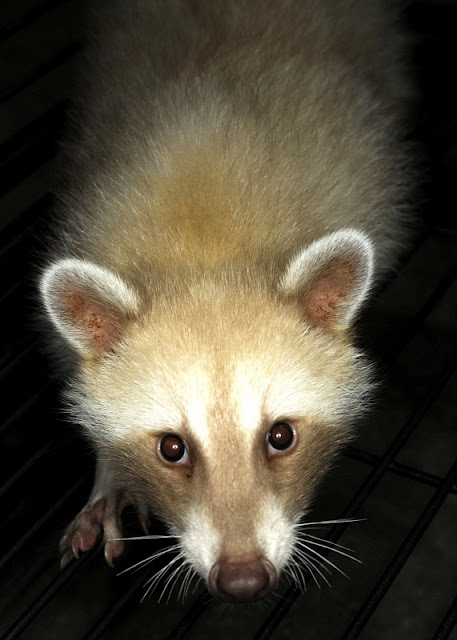 And did you know that their white fur changes with temperature? The color gets creamier when the air is cold! The largest cat in the world is the tiger! 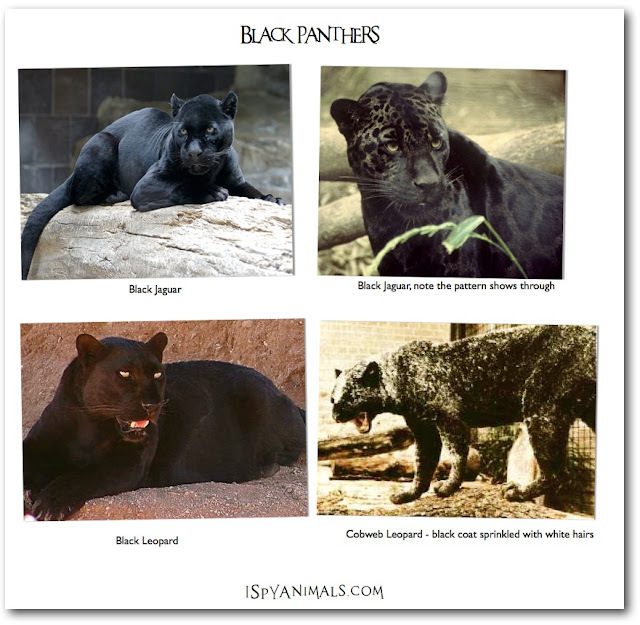 There are six existing subspecies and three that are extinct. 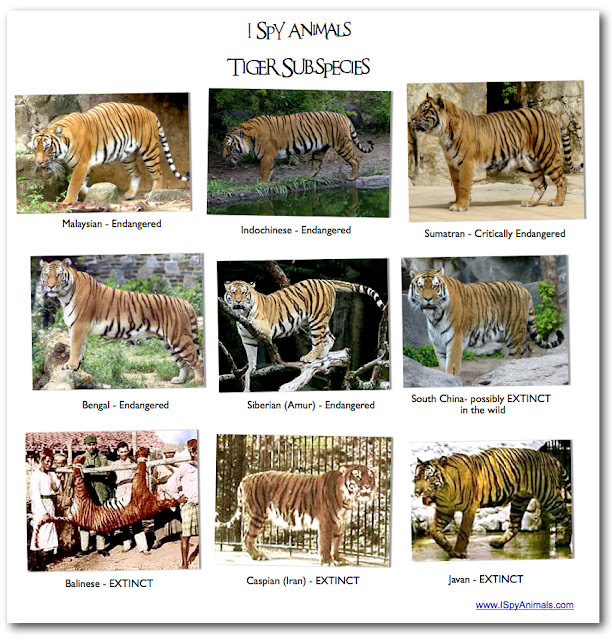 The remaining tigers are all in grave danger of extinction as well. 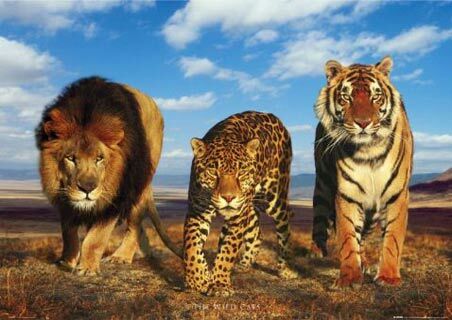 Some predict that in ten years, all tigers will be extinct in the wild. A tiger is easy to identify. Is it huge and striped? It's a tiger! 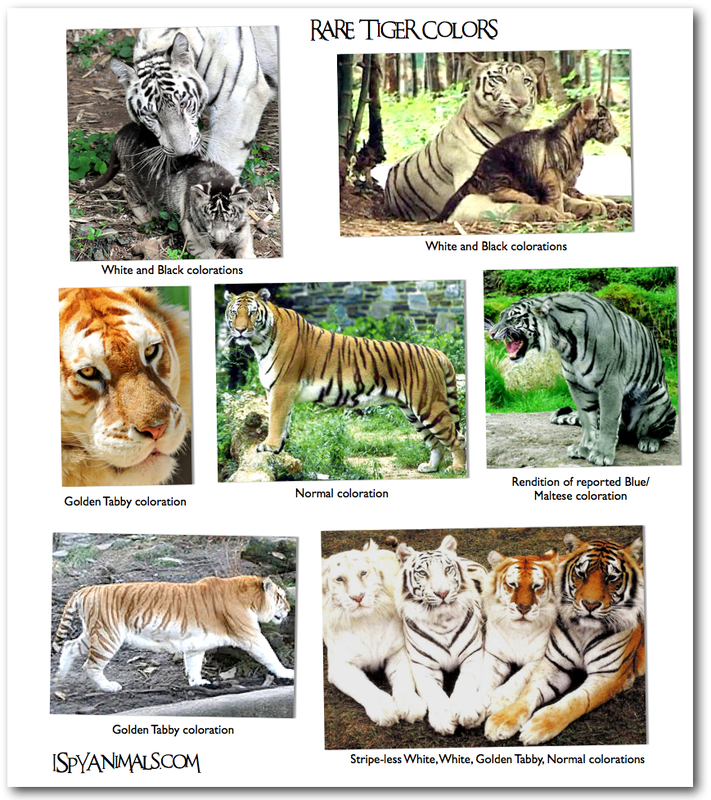 Here are the nine types of tigers. 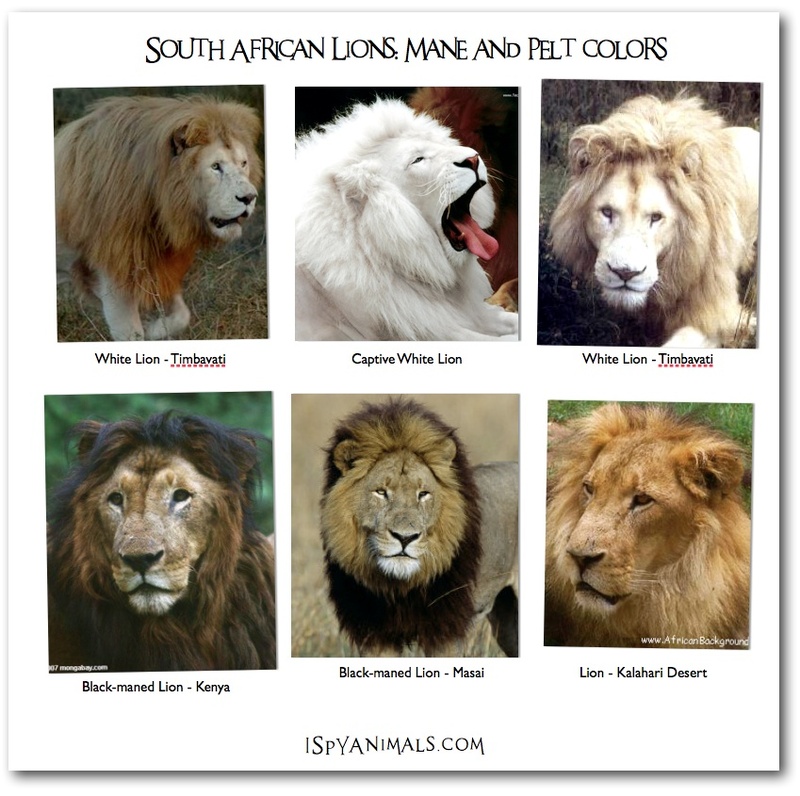 They all look pretty similar, but my next two posts will show you various colorations, some that I bet you never knew existed!